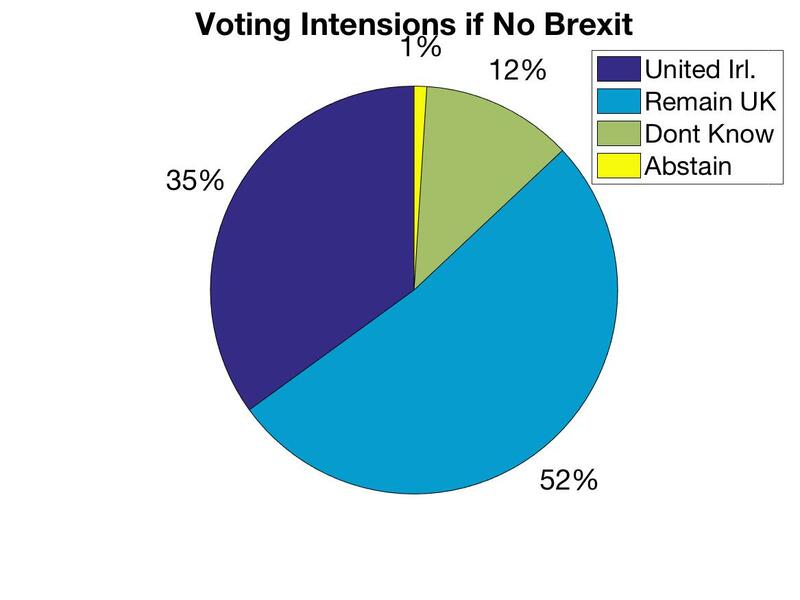 The Recent Our Future Our Choice (OFOC) poll in Northern Ireland has generated a lot of interest especially given the result of voting intentions regarding a United Ireland if Brexit goes ahead. This has shown a lead of 13-16% for a United Ireland. Should the UK remain in the EU there is an even greater lead in the opposite direction with 52% choosing to remain in the UK and only 35% choosing to join a United Ireland. Whilst there is general agreement that Brexit will make a United Ireland more likely, what is interesting is the size of the lead. 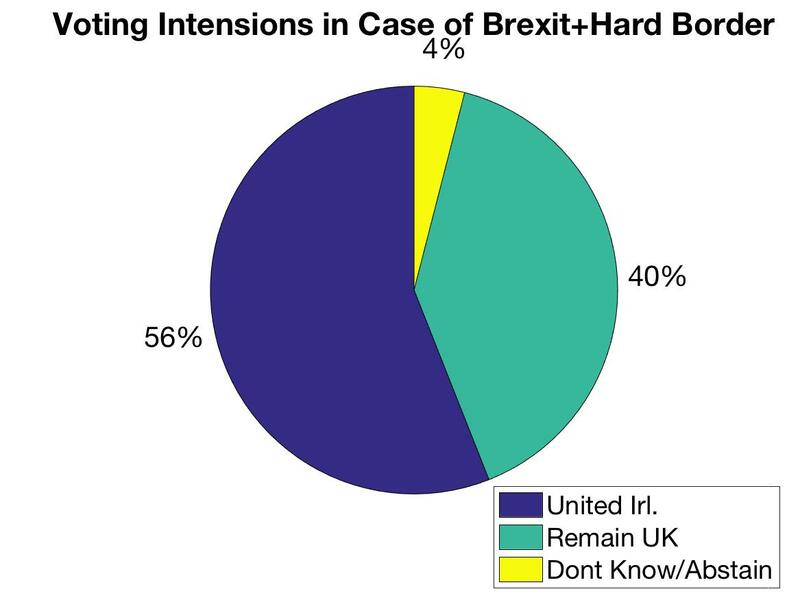 In December last year, a Lucid Talk poll asking a similar question in the context of a hard Brexit, only gave a majority of 2.5% in favour of a United Ireland; well within the margin of error. The new poll therefore is a dramatic shift, particularly in the context of the near glacial pace of change in Northern Ireland. Polling of this sort is very useful as the GFA allows for a Border Poll to be called if it looks likely to succeed. One way out of the logjam on the withdrawal agreement caused by the Irish border is for a successful reunification poll. However the DUP will fight tooth and nail against this as Unionism is their raison d’être. The result has been largely seized upon by Sinn Féin but rejected out of hand by the DUP. One criticism leveled against the poll is that it was commissioned by OFOC, a pro staying in the EU pressure group, which will have a vested interest in a pro EU result. The actual polling however was carried out by Delta Poll and the methodology seems sound. The quote a 90% confidence interval of about plus or minus 4%. This seems to be a generic descriptor as the actual wording is: On the basis of the historical record of the polls at recent general elections, there is a 9 in 10 chance that the true value of a party’s support lies within 4 points of the estimates provided by this poll, and a 2 in 3 chance that they lie within 2 points. For each poll, a nationally representative sample is selected in proportion to population distribution from an online panel. Data is rim-weighted (Random Iterative Method) to a matrix of geo-demographic variables. 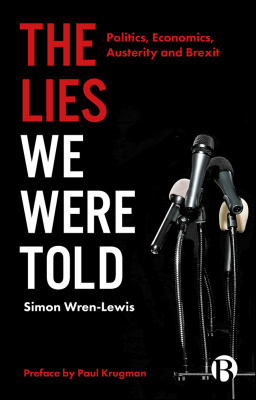 Weighting targets are sourced from various locations, including Census 2010 updated to mid-year population estimates, British Election Study and the National Readership Survey. There were also a number of baseline questions which could be cross-checked with the previous general election and the referendum result. These can be compared to actual polls and seem to show no pro EU bias; indeed the opposite seems to be the case. Q1 Talking to people about the General Election on June 8th 2017 we have found that a lot of people didn’t manage to vote. How about you? – did you manage to vote in the General Election last year. IF YES – Which party did you vote for in the General Election on June 8th 2017? Please select one answer only. Analysis: If one removes the Unknown and didn’t vote results the results can be recalculated and the DUP and SF votes come to 33% and 28% on a 75% turnout. This can be cross checked with the actual result of the GE which was 36% and 29.4% for the DUP and SF respectively on a 65% turnout. The results look reasonable and within the margin of error, but more respondents say they had voted as compared to the actual population. Q2 Generally speaking do you consider yourself to come from a Nationalist or Unionist heritage? Please select only one answer. Analysis: It is estimated that for people of voting age in 2018 there is a 5% gap between the Unionist and Nationalist communities (for all age groups the gap is close to disappearing). So this figure seems to be representative of the actual electorate, probably because the figures were weighted to map onto the known demographics. Q3 In the Referendum on the 23rd of June 2016 on whether the UK should remain in or leave the European Union which way did you vote? – – or did you not vote? Please select only one answer. Remain: 41% Leave: 39% did not vote 18% Unknown 1%. Analysis: This 2% gap compares to the actual referendum gap of 12%. If anything therefore the sample seems to be Leave rather than Remain Biassed. Q4 Imagine that the referendum on the 23rd of June 2016 on whether the UK should remain in or leave the European Union DID NOT take place but instead is taking place for the first time tomorrow – If the referendum was being held for the first time tomorrow – How would you vote? Please select only one answer. Analysis: this is not majorly out of line with other polling, but some give a higher percentage of 69-70% wishing to remain in the EU. Again if there is any bias, it is towards a more Leave the EU position. Questions about a United Ireland under various scenarios. These were asked in 3 scenarios, the UK remaining in the EU. The UK leaving the EU and the UK with the addition of a hard border. Q5 Imagine now that the UK decided to REMAIN IN the EU. Under these circumstances how would you vote in a referendum on the constitutional arrangements of the island of Ireland? Please select only one answer. Result: Remain part of the UK: 52% United Ireland outside of the UK: 35% Don’t know: 11% Would not vote: 1%. Analysis: This is not out of line with other polls giving a pro Union majority in this scenario. Q6 Imagine now that the UK decided to LEAVE the EU. Under these circumstances how would you vote in a referendum on the on the constitutional arrangements of the island of Ireland? Please select only one answer. 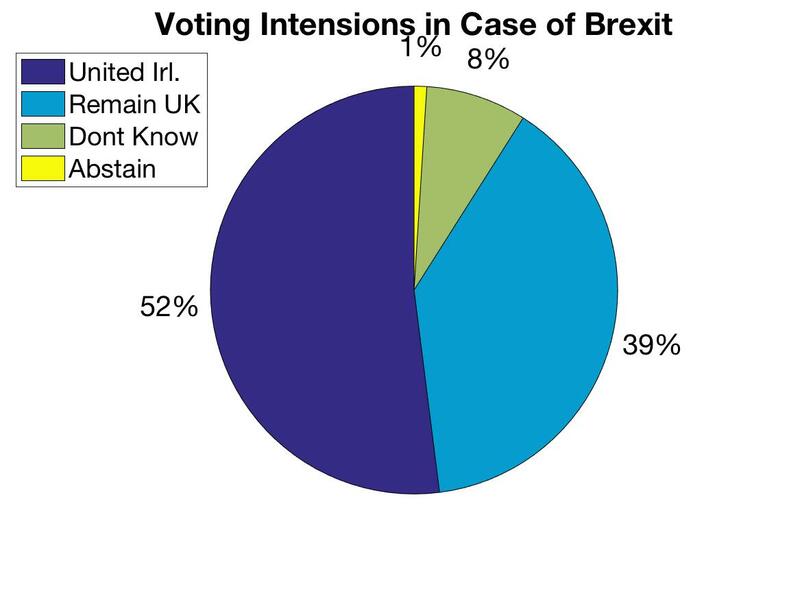 Remain part of the UK: 39% United Ireland outside of the UK: 52% Don’t know: 7% Would not vote: 1%. Analysis: a clear result and almost the mirror image of the Remain scenario. It seems that Brexit is very unpopular in NI. Q7 Imagine now that as part of the UK leaving the EU there is a hard border between the Republic of Ireland and Northern Ireland. Under these Under these circumstances how would you vote in a referendum on the constitutional arrangements of the island of Ireland? Please select only one answer. Remain part of the UK: 40% United Ireland outside of the UK: 56% Don’t know: 4% Would not vote: 1%. Analysis. An even clearer result than without a hard border. The strongest majority of the three scenarios. How well are the NI Politicians Doing? Q8 Putting aside your own party preference do you think politicians from Northern Ireland are representing the interests of the people of Northern Ireland in the process of the UK exciting the EU? Please select only one answer. Very badly: 57% Quite badly: 19% Neither well nor badly: 12% Quite well: 8% Very well: 2% Don’t know: 1%. Analysis: This is not looking good for the NI politicians. There is clearly a lot of dissatisfaction. This is not just in Westminster, the NI Assembly has now overtaken Belgium as the country/region with the longest period without a functioning government. Q9 And again putting aside your own party preference, do you think politicians from the Democratic Unionist Party – DUP, are representing the interests of the people of Northern Ireland in the process of the UK exiting the EU? Please select only one answer. Very badly: 68% Quite badly:9% Neither well nor badly: 8% Quite well: 7% Very well: 7% Don’t know: 0%. Analysis: Bad as the NI politicians are seen in general the DUP fares even worse. The results look fairly sound. Any obvious bias in the sample seems to be more Leave than Remain in the EU as evidenced by Q3 where there is a much smaller Remain margin than was actually the case in the Brexit referendum. The swing towards a United Ireland is not that surprising, given that the Irish economy has been so much stronger over the past year, governance seems professional and competent, the country more liberal and the influence of the Catholic church receding. The recent Irish referendum on abortion (still illegal in NI) may have had an impact particularly with female voters. 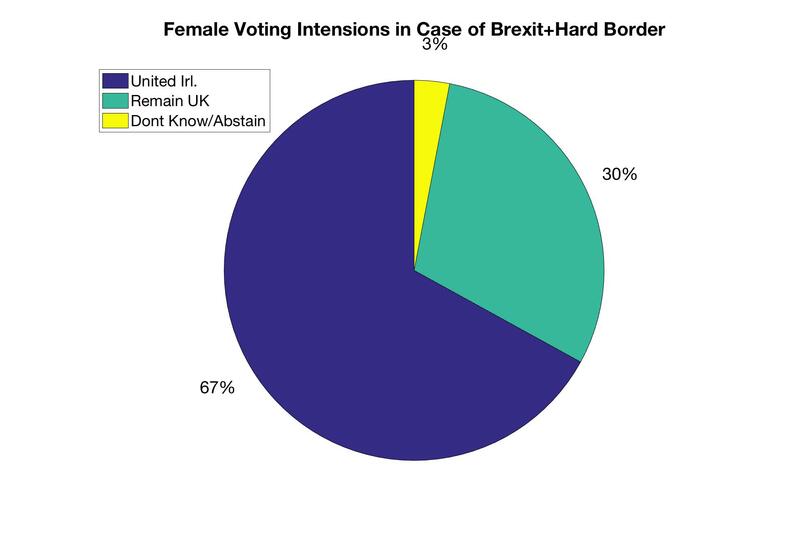 The figures for female only correspondents to Q7 (Brexit+Hard border) show a 67% pro UI to 30% pro remaining in the UK (male correspondents still favour remaining in the UK even in this scenario). The UK on the other hand seems to have regressed, with the economy weakening (NI may be going into recession) and its politics is becoming ever more chaotic. Another interesting result again on Q7 is the clear splitting by age cohort with strong support for a UI from the under 45s, almost neutral in the 45-64 range and only the 65+ range being strongly in support of remaining in the UK. This is symptomatic of the often stated demographic time bomb and the reason that many predict that a UI is inevitable in the next few decades, unless there are unforeseen circumstances. Q7 Answer to Brexit + Hard Border Question split by age cohort. As a contemporary, I’m quite confident that Ireland will be united in our expected lifetime. I don’t mind waiting if that’s needed to achieve it peacefully, but I do object to the whole zero sum battle, that NI must be exclusively British or Irish. It’s tiresome, has cost lives, and must end. And it will end. And by united, I don’t meant that NI will be assimilated. I mean that the boundaries will be blurred, invisible, as irrelevant to everyone’s daily life. Irish people in NI are not equal citizens now. They will be. And so will British citizens be in future, as they are in Ireland now in all but one respect: currently they cannot vote in referendums. The intransigence of the NEVER crowd, with their bowler hats, orange sashes and all the other symbols of their tribal hegemony will seem very bizarre soon, the kind of thing that ought to belong to a world of black and white film with no sound. “When you’re accustomed to privilege equality looks like repression” – very much the DUP voting mindset. What’s encouraging is that fewer younger NI voters feel that way. Clare Mitchell has written quite a nice piece here https://sluggerotoole.com/2017/10/17/check-your-unionist-privilege/ on what might be described as NI Wallpaper. I suspect the quote may be applicable to some of the high Tories as well, who see Brexit as an ability to return to the old order. I agree with you; I want a UI where in the words of the proclamation “The Republic guarantees religious and civil liberty, equal rights and equal opportunities to all its citizens, and declares its resolve to pursue the happiness and prosperity of the whole nation and of all its parts, cherishing all the children of the nation equally…” come to true fruition. I do hope that the OO marches etc will be in the same league a Morris Dancers in the future an eccentric and somewhat lovable pageant which intimidates no one. I have a very Augustinian view in a UI “Lord make me pure but not yet” but would expect to see one in my lifetime. I believe also in evolution not revolution and had expect a UI around 2035. NI is still very traumatised. Rushing things will not help and preparation is needed; extensive white papers need to be drawn up covering health, education, pensions, benefits and I’m sure a myriad of others. Regarding blurred boundaries, the GFA did this brilliantly but Brexit is a real wrecking ball. May’s instincts as indicated by her “Citizens of Nowhere” speech are worrying – Vince Cable described it as a speech that could have been taken directly out of “Mein Kampf” and he was and is right. I had hoped the narrow Imperialist English/Protestant Supremacist Worldview was dying. The Eton/ Oxford PPE seems to instill a “God given right to rule” mentality together with a callousness towards lesser mortals (in their eyes). The DUP seem to have found soulmates in the ERG group and their Stockholm Syndrome Prime Minister. Mrs Tooth is the future, or rather, her children are. I follow her on Twitter and enjoy her thoughtful writing. A refreshing change from the orange apologist Ruth Dudley Edwards whom I have felt obliged to read but who is increasingly tiresome and, frankly, out of date. I share yr Augustinian “not yet” instinct. I’m happy to defer change if it will save lives and facilitate evolution rather violent revolution. Agree completely re Mrs Tooth. I have given up completely on Ruth Dudley Edwards who never it seems lets facts get in the way of her increasingly flimsy arguments. Its a real shame as her father Robin was and still is a widely admired historian. He was a lifetime friend and UCD colleague of my own father Kevin from the 1930s right through to the 1980’s.